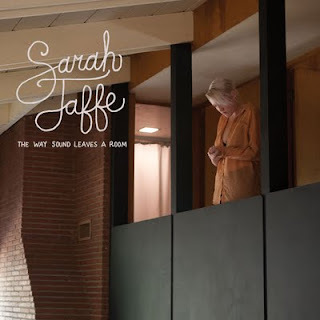 Sarah Jaffe became one of the most talked about artists of 2010 following the release of her debut album Suburban Nature which earned her accolades from NPR, NY Times, Wall Street Journal, Interview, and American Songwriter among others. The album also landed her on numerous year-end “best of” lists including USA Today’s Pop Candy, Paste Magazine and Amazon and also found her single “Clementine” making in roads at AAA Radio. She spent a majority of the year on the road on several high profile tours including European dates with Midlake, US tours with Midlake, Norah Jones, Old 97s, Lou Barlow, Centromatic and several runs on her own. Due to the overwhelming response to Suburban Nature, Kirtland Records is releasing The Way Sound Leaves A Room, a CD / DVD collection that looks both back and forward into Jaffe’s music. The Way Sound… includes a CD with cover songs as well as experimental lo-fi home recordings of new songs. The DVD portion includes stunning live concert performance and behind the scenes footage.